In 2012, VISIONS Center on Aging became the first senior center for blind and low vision seniors. As one of the original eight Innovative Senior Centers, we are proud to be a part of the City's Age-Friendly NYC Initiative. We are the first city-funded senior center exclusively designed for older adults who are blind or severely visually impaired in the United States. Our Center is fully accessible for those with vision loss, but we welcome all seniors, aged 60 years+ to join us including unpaid caregivers of blind seniors. The program features a daily, hot dinner meal served Monday through Thursday from 3:00-4:30 pm, and Friday from 2:30-4:00pm. We offer regular, vegetarian and kosher options. Our Center has a full array of customized services and programs ranging from benefits assistance to fully accessible computer classes to evidence based fitness programs. Our Senior Center Council helps our staff design programing that is important to our members. The Council also is proud to offer the Senior Buddy Program, so each new member has a built-in-friend checking in on them and helping them navigate our Center. Senior Center Council special events, fundraising, trips and more! 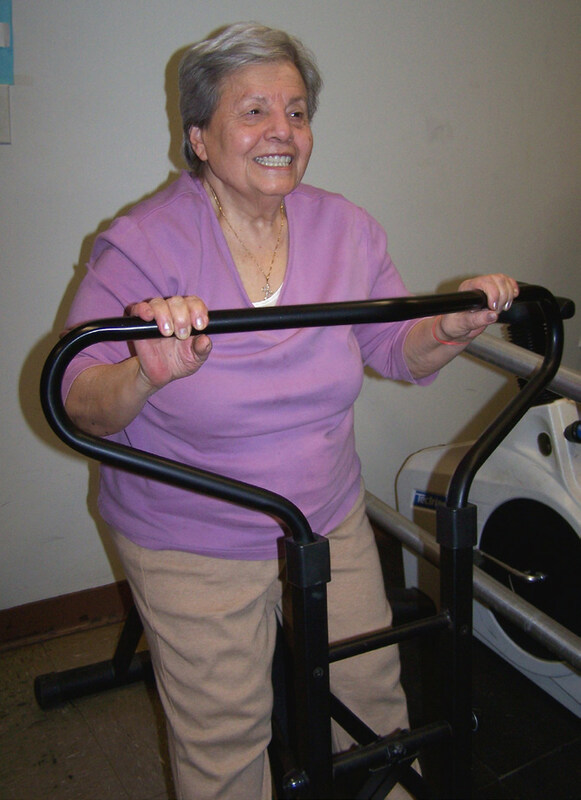 VISIONS Center on Aging is funded by the New York State Office of the Aging through the NYC Department for the Aging. VISIONS welcomes donations to improve and expand the programs and services offered.